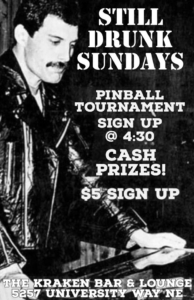 Still Drunk Sundays : Pinball Tournament! 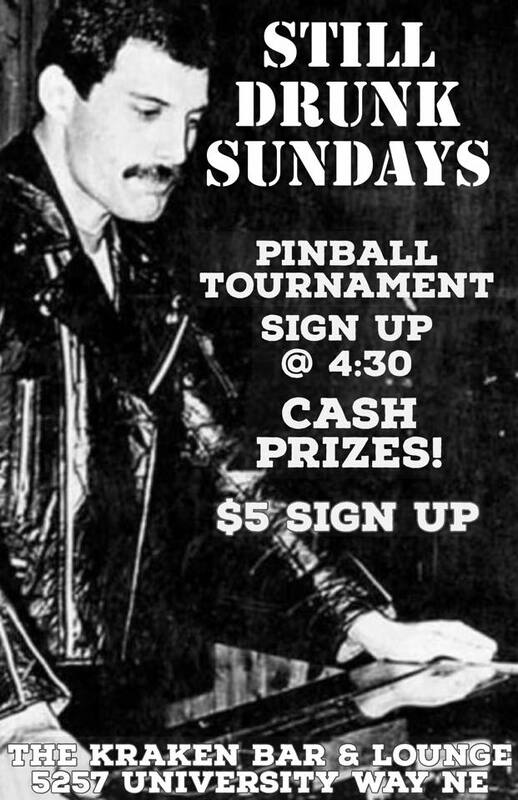 Three strike format, (mostly) weekly at The Kraken! 4:30 sign up with the tournament starting around 5.